BIG SUR, Calif. (KGO) -- The Soberanes Fire has burned nearly 75,000 acres in the Big Sur area and is now 60 percent contained. One person has been killed and three others injured in the blaze. It's already destroyed 60 homes and is threatening 400 others. Cal Fire says Highway 1 will be closed from Point Sur Light Station to Coast Ridge Road until 5 p.m. because of a tree hazard. 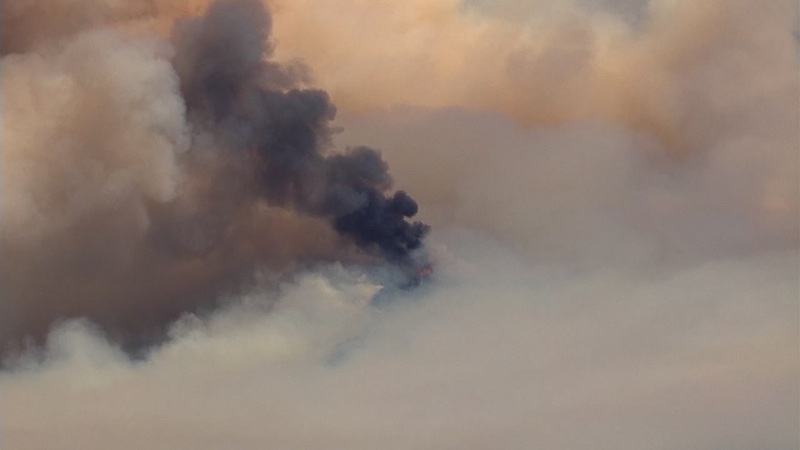 An illegal campfire sparked the wildfire that's been burning since July 22. The Community Foundation for Monterey County is collecting monetary donations to help people affected by the fire. More information on making a contribution can be found online at https://www.cfmco.org/about-us/fund-list/soberanes-fire-fund.